Tiger Woods has withdrawn from this week's Arnold Palmer Invitational at Bay Hill after suffering from a neck strain. The American 14-time major winner, now aged 43, says his previously troublesome lower back is unaffected and he has no long-term concerns. "I've been receiving treatment but it hasn't improved enough to play," said Woods, an eight-time Bay Hill winner. He hopes to play in next week's Players' Championship at Sawgrass. 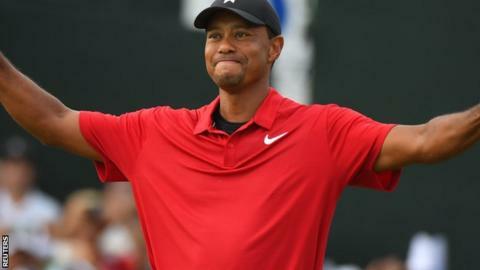 Woods won his 80th PGA title, and his first for five years, when sealing the season-ending Tour Championship in September 2018. He is currently ranked 12 in the world, having recovered from being number 1,199 after spinal fusion surgery - the latest of multiple operations.